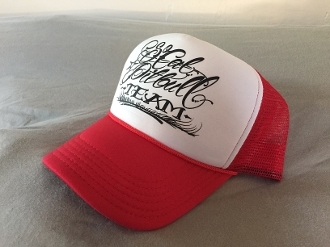 Adjustable one-size-fits-all trucker hat with white front and red brim/mesh back. Unisex and featuring our True Fit Tattoo custom logo for a true Limited Edition trucker. Get yours while they last!